Oakland Raiders: Will Carson Palmer Be The Starter For The Silver and Black Come Sunday? Looks like for the Oakland Raiders will start quarterback Carson Palmer under center Sunday, as reported Adam Schefter of ESPN. 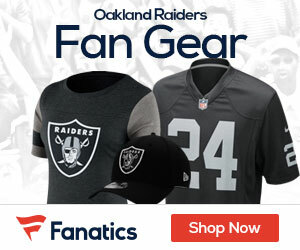 The team traded a first-round pick in 2012 and a second-round pick in 2013 for the former Bengals quarterback Wednesday, and the Raiders are placing him to work right away. Palmer only has a few days of practice to get his barrings right and fit with the offensive system of the Raiders after not taking a snap this season. But it looks the Raiders are moving on the right track to make it work right away. Up and coming Raiders wide receiver Darrius Heyward-Bey is doing his part in preparing to assist new the quarterback Palmer in getting comfortable and ready to start as soon as possible. In the future who knows this may become the next best offensive duo for Raiders football and it’s never too early to get it right, why not start now? Bey the number seven draft pick in 2009, is currently working together with Palmer, overtime to get their chemistry right. Expect a lot of running game as well when Oakland plays Kansas City this weekend. But don’t be surprised if the receivers and Carson Palmer create something special. Palmer may give the best for the Raiders to win now, but according coach Hue Jackson a decision on who starts at quarterback against Kansas City may not come till game time. With three divisional opponents coming up in the next four weeks, I’m sure Palmer will get his chance to shine in Silver and Black before we know it. Certainly, with the Raiders fighting for first place in the AFC west.